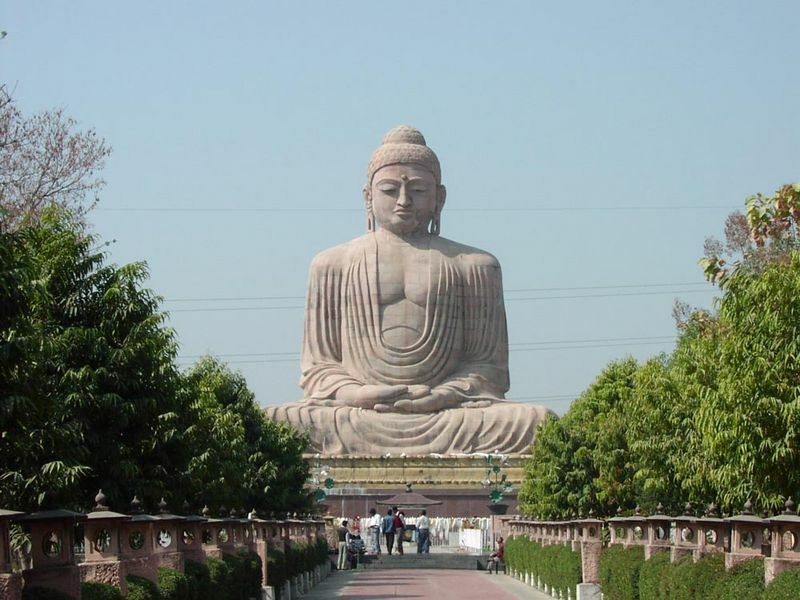 Bodhgaya is famous for being the place where the Buddha was enlightened. For this reason is a pivotal holy place for buddhists. Making a bit of history, Siddharta Gautama was born in Lumbini, Nepal, as prince from a small kingdom. His father wanted him to be a great king, and and hided from him any religious teachings and the sight of human suffering. So he grew up in a perfect and non-harmless world. Some day, he accidentally saw an old, sick and suffering man, which sight shocked him and made his life change, getting interested in religious matters and leading an ascetic life. After years looking for the understanding of the world and the answer to suffering, he finally got enlightened when he was sitting under a tree here, in Bodh Gaya. This is a quick and not necessarily accurate approach to Buddha's life, so I encourage you to read a bit more about it. 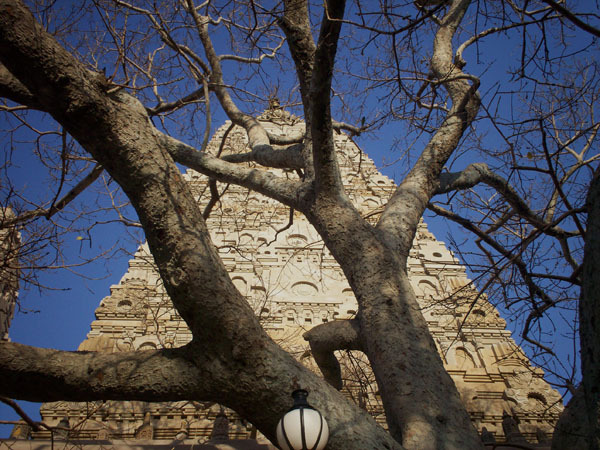 Not either the tree that stands in the middle of the town is the original tree under which Siddharta was sitting, but a descendant of him, born from a sapling of the original one. Around it, today, of course, there is a dedicated monastery and temple, which is a important pilgrimage site for buddhists. Being as we say a pilgrimage place, there are many places where you can stay with the pilgrims, being then a good opportunity to mix with them at very cheap prices. And this probably what we will do the only night that we intend to stay here. There are no trains in Bodhgaya. From Varanasi we will have to take a train to the nearby Gaya, which will take about 3 hours, and from there do the last 15 kilometers til Bodhgaya with a local bus. On the way back we will have to do the same, because it is from Gaya that we will take the train that will bring us to Kolkata.